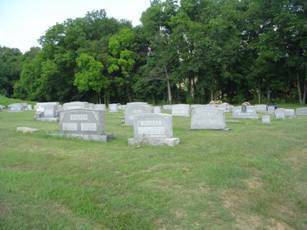 The Philadelphia Baptist Church Cemetery lies on the north side of US Highway 64W from Waynesboro. 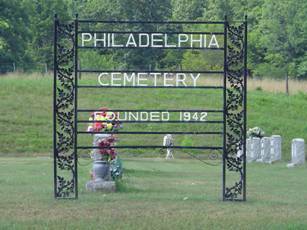 To reach the cemetery, travel north from the courthouse square in Waynesboro on highway 13 for a distance of ½ mile. Turn left to access the US64 bypass. Turn left on the bypass and travel approximately 10.2 miles. The cemetery is behind the church and was founded in 1942. Davidson, Mattie Lucille; b. 01 Nov 1911, d. 15 Jul 1916, daughter of Alfred F. & Mattie M.
Edwards, Fred Edgar Jr.; b. 22 Oct 1946, d. 27 Oct 2009, brother of James S.